CAUSE FOR CELEBRATION!!! The years of research have finally paid off! I anesthetized Banjo and very carefully severed his tail. Then, unbelievably, I held the tail back to the stump within a hour of severing it, and the tissue rebonded itself! Banjo regained total control of his tail! After God knows how many years, the Amputech works! No, I still can’t cure fire damage- and the less said about decapitation, the better- but STILL! My discoveries will save THOUSANDS- of lives! My administrator says that the Surgeon General is extremely fascinated with the Amputech. I guess the videodisc demonstrating the blood absorption through pores in the skin overwhelmed him. He promised an increase in funding, and the university will receive a substantial government grant! Could a Nobel be in my future? I must remember to thank Banjo with a bigger cage and a shiny new wheel! I knew this question was coming. The Surgeon General asked if the Amputech has been tested on human beings. Science notwithstanding; I’m not willing to maim anyone. A side effect would ruin me! The Surgeon General contacted me again. He said that he knew of human test subjects. Apparently there were volunteers amassed at Death Row at Correctional Facility Alpha. That’s right- the most terrifying prison in the world. 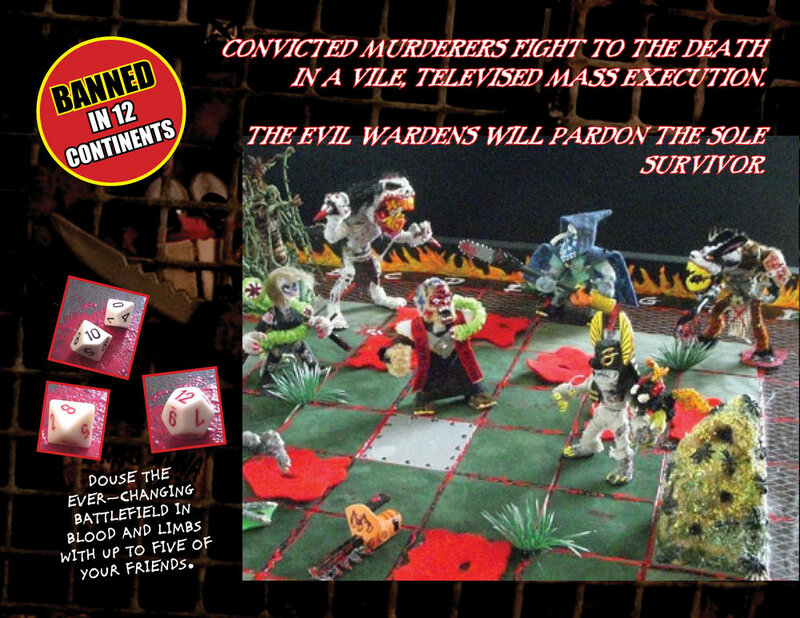 Madmen, murderers and even these weird monsters, all awaiting execution. I guess they’ve got nothing to lose. Besides, my personal politics are inconsequential. The Amputech stands to make miracles into realities. And maybe it is time for those scum to contribute to society. I met the Wardens of CFA today, and they just put me on edge. They all wore these silly black hoods- and I could swear I’ve heard some of their voices before, perhaps on cable news. Actually, this one man sounded just like the Secretary of Defense, back when I spoke to him over the phone about imbuing Amputech into soldiers. And one of the Wardens just… didn’t sound human. I digress. The Wardens delivered numerous Death Row volunteers, willing to try out my Amputech. Or so they told me. None of the convicts seemed to be too willing to test my miracle regenerative nanotech- they all needed to be strapped and restrained. Did any of them prefer medical advancement to dying as monsters? Did they understand what the Wardens had told them? I am almost too infuriated to write! The Evil Wardens have gone ahead without me and tested the Amputech on not one, but THREE human subjects- all Death Row killers. 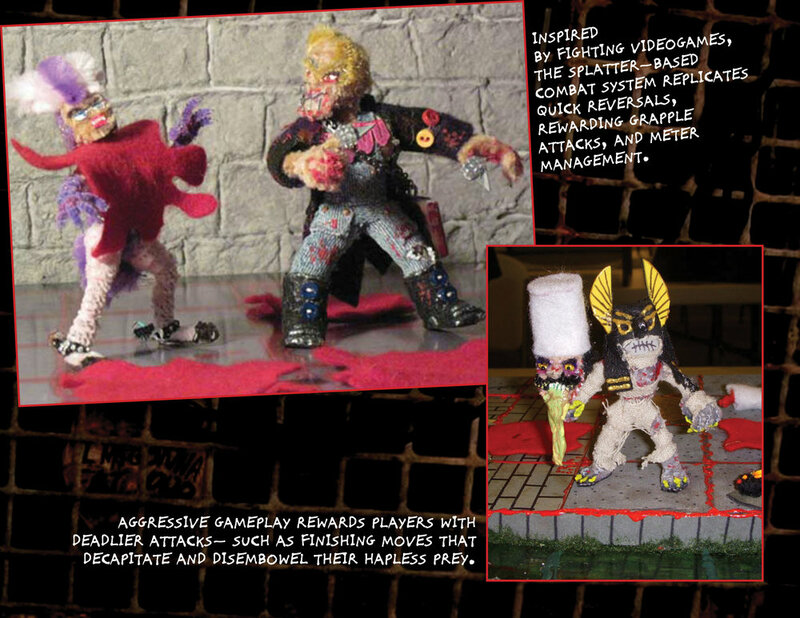 They imbued each one with the ‘Tech and gave them all CHAINSAWS- and told them to “go at it!” They said that one of the “high points” of the melee was when one convict was able to graft another’s severed arm into his bloody stump, and use it like it were his own! What in the hell have I become part of…? Ashamedly, I watched the first-ever telecast of AMPUTHEATRE this morning. I heard that much of the arena audience was comprised mostly of relatives of the competitors’ victims. Others were pure savages- gleefully tossing in weapons for the killers to use on each other! I have procured a sample of blood from the corpse of one of the fallen. Analysis revealed that the Wardens had added a deadly neurotoxin to my original Amputech code. I assume that this is to keep the convicts obedient in the arena- but how is the neurotoxin removed from those that are released? Is gladiatorial combat all the Evil Wardens truly have in mind?